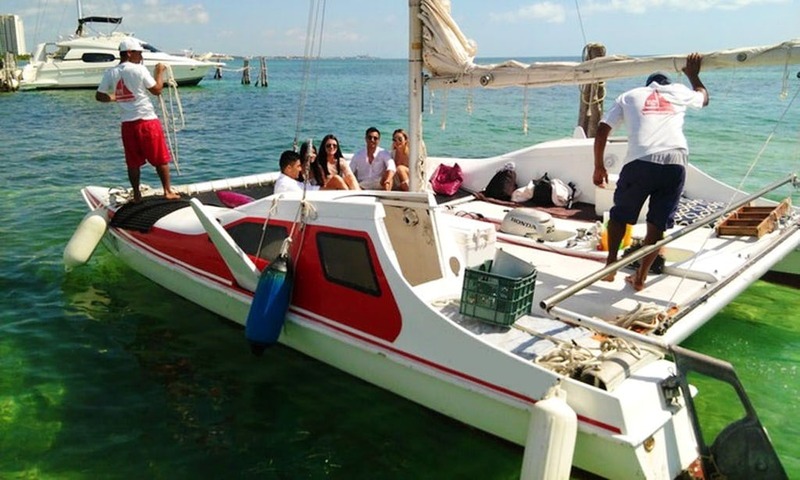 Enjoy cruising in the beautiful coast of Cancun on our boat tour aboard the 24' Seawind Catamaran for up to 10 people. 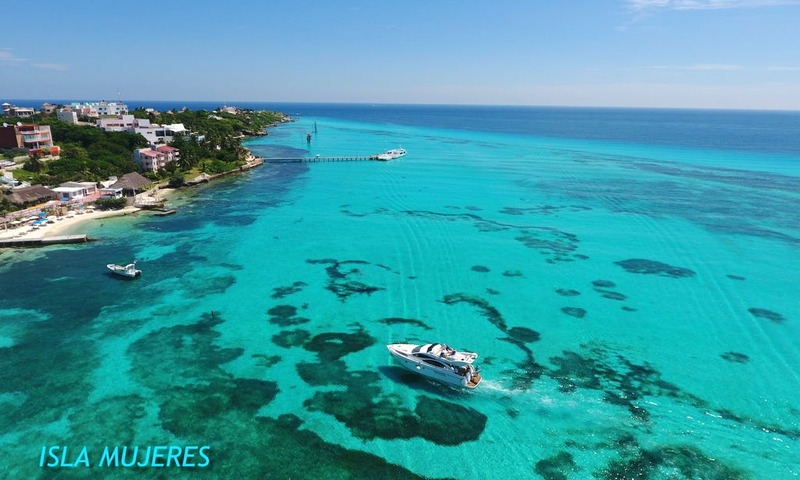 The Catamaran groups sightseeing tours, water sports, snorkeling, jungle tour and entertainment in Isla Mujeres is all inclusive tour, open bar and lunch with a snorkel. 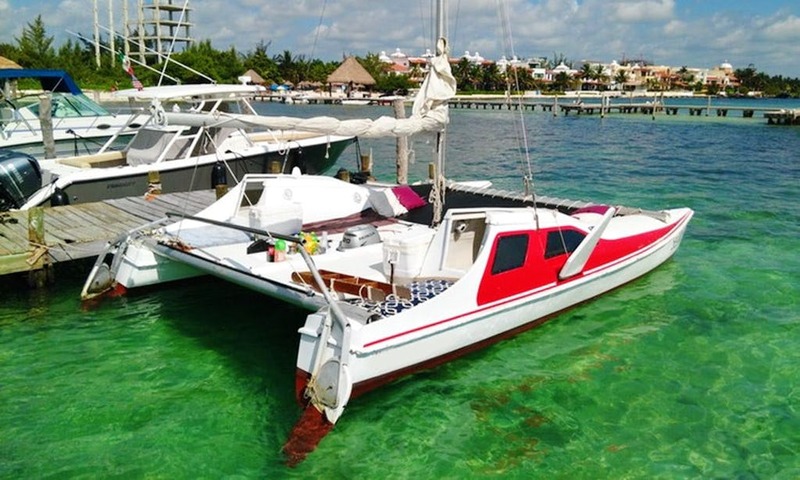 • In Mexico it is not possible to rent a boat without crew. • All boats are crewed. 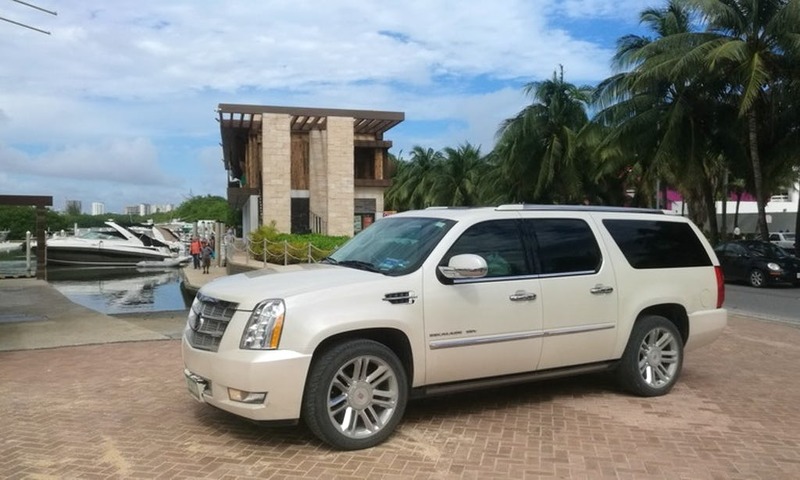 • Your license is valid only for your own boat. Rates are based on groups 1 to 10 people and subject to an additional fee for gratuity and taxes.